Dude subscribes to a couple different cooking magazines. 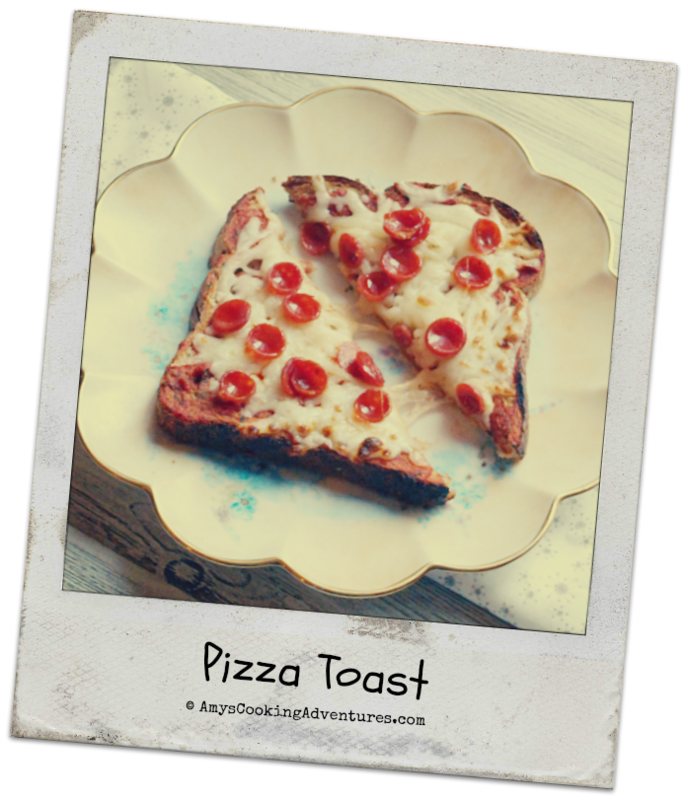 In one of his recent issues, he found a recipe for pizza toast! This makes a great little lunch that’s completely customizable and it’s so fun to see my little man so proud of his meal! 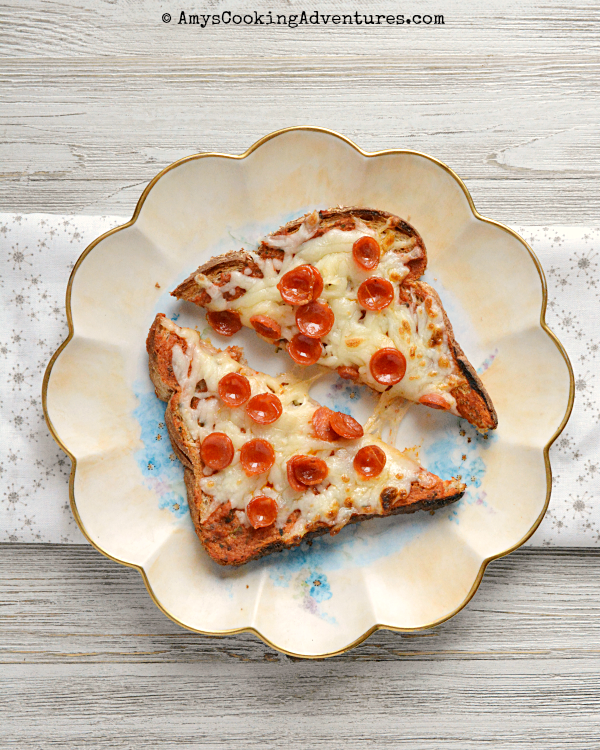 In fact, we’ve eaten what Dude now refers to as his “Famous Pizza Toast” twice this week (with another night requested)! Lightly toast the bread. Place the toast on a baking sheet. Spread 1 tablespoon of sauce onto each piece of toast. Top with 2-3 tablespoons of shredded cheese and a sprinkle on mini pepperoni. Place the pizzas under the broiler of the oven for 1-2 minutes or until the cheese is melted and beginning to brown. Serve immediately.